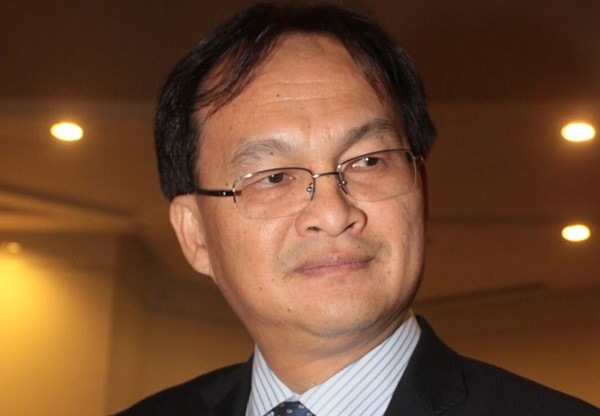 COMMENT: I fully endorse the statements made by Pakatan Harapan leaders in Sabah and Sarawak about the extension of the Chief Justice’s current term depriving Richard Malanjum of the top position in the judiciary. Last year I made a statement supporting the recommendation by retired judge Mohd Hishamudin Mohd Yunus that Malanjum be appointed the next Chief Justice. Malanjum should rightly be appointed, by virtue of his seniority and his unquestionable qualification and calibre. It has now come to pass – the most suitable candidate is sidelined as a result of the unconstitutional extension of the current Chief Justice’s term. We must question why Sabah and Sarawak are treated with such disrespect. We have yet to hear from the Chief Ministers of Sabah and Sarawak, and the BN leaders their views on this grossly unfair sidelining of Malanjum. We have yet to learn the rationale of the Prime Minister and the Conference of Rulers for the extension of the Chief Justice when expert opinions had been given on the undesirability and the unconstitutionality of an extension for the Chief Justice. Is there any acceptable reason when we have in Malanjum an ideal person for the post, in both seniority and capability? It is widely known that he is even more senior than the current Chief Justice and the President of the Court of Appeal. In the absence of an acceptable explanation, the inescapable conclusion is that we are but the poor cousins and the fixed deposits, useful only to fund West Malaysian development and securing the BN victory during the elections, and to be ignored the rest of the time. The question of suitability and qualification does not even arise as it is not in the contemplation of the powers that be that our talents are in the same pool and deserve equal consideration. 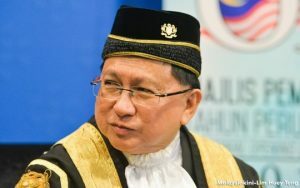 In the Federal Court there are no judges from Sabah and Sarawak and in the Court of Appeal, there are only three, one from Sabah and two from Sarawak. 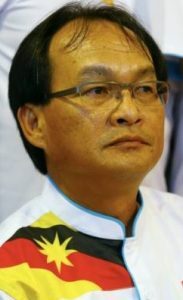 This is not because we lack qualified people – it is the conditioning that has silently taken place in the Malaysian psyche that Sarawakians and Sabahans are not good enough and that we are just contented to be sidelined, that we are second class Malaysians, having no rights to participate fully in the administration of this country except in the lower ranks. And the most humiliating thing is that our leaders have accepted this treatment for decades without so much as a whimper. It is the same in other fields. How many diplomats are appointed from Sabah and Sarawak? How many heads of Ministries and GLCs? Meritocracy appears to have no place in Malaysia. Our Sabahan and Sarawakian BN leaders must make a stand on this critical matter. Put our interests first, instead of your loyalty to your political masters. Speak up for fairness and justice, and for our rights as equal partners in the Federation of Malaysia. If you fail to speak up for Richard Malanjum, you fail all Sabahans and Sarawakians.